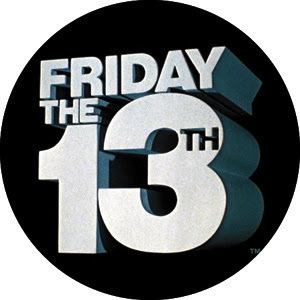 friggatriskaidekaphobia, and is a specialized form of triskaidekaphobia, a phobia (fear) of the number thirteen. Before the 19th century, though the number 13 was considered unlucky, and Friday was considered unlucky, there was no link between them. 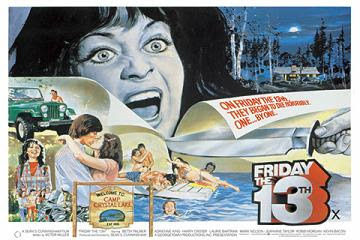 The first documented mention of a "Friday the 13th" is generally listed as occurring in the early 1900s. The Last Supper, with stories that Judas was the thirteenth guest, and that the Crucifixion of Jesus occurred Friday. That the biblical Eve offered the fruit to Adam on a Friday, and that the slaying of Abel happened on a Friday (though the Bible does not identify the days of the week when these events occurred). That it started on Friday, October 13, 1307, the date that many Knights Templar were simultaneously arrested in France, by agents of King Philip IV. However, historically, there is no true date that the Friday the 13th superstition can be linked to. In the case of Greece, Tuesday, April 13, 1204 was the date that Constantinople was sacked by the crusaders of the fourth crusade. The first ever fall of the then richest Christian city, and the looting that followed, allegedly gave Tuesday 13 its bad meaning. Ironically enough, Constantinople fell for the second time in its history on Tuesday, May 29, 1453, to the Ottoman Turks, a date that puts an end to the Byzantine empire, and to Greek sovereignty for several centuries, and therefore reinforcing Tuesday as an unlucky day in the Greek world. Many modern stories (including The Da Vinci Code) claim that when King Philip IV had many Templars simultaneously arrested on October 13, 1307, that started the legend of the unlucky Friday the 13th. However, closer examination shows that though the number 13 was indeed considered historically unlucky, the actual association of Friday and 13 seems to be an invention from the early 1900s. "It's been estimated that [U.S] $800 or $900 million is lost in business on this day because people will not fly or do business they would normally do." Some people are so paralyzed by fear that they are simply unable to get out of bed when Friday the 13th rolls around. The Stress Management Center and Phobia Institute estimates that more than 17 million people are affected by a fear of this day. Despite that, representatives for both Delta and Continental Airlines say that their airlines don't suffer from any noticeable drop in travel on those Fridays. A British Medical Journal study has shown that there is a significant increase in traffic related accidents on Friday the 13ths. The date is well-known in the motorcycle (biker) community: Since 1981, motorcycle enthusiasts and vendors gather every Friday the 13th in Port Dover, Ontario, Canada. This tradition started on November 13, 1981 by Chris Simons as a gathering of approximately 25 friends. The event has grown substantially, with an estimated 100,000 people attending in August 2004, as well as music bands, vendors, a bike show, etc. All months whose first day falls on a Sunday will contain a Friday the 13th. Every year has at least one and at most three Fridays the 13th, with 48 occurences in 28 years an average of 1.7 times per year. * Black Sabbath's self-titled debut album was released in the UK on Friday, February 13, 1970. * Novelist Daniel Handler, also known as Lemony Snicket, released the 13th book of the Series of Unfortunate Events on Friday, October 13, 2006. * January 13, 2006, and October 13, 2006, were not only Fridays, but the digits in the month, day, and year of each date add up to 13. This last occurred on October 13, 1520, and will next occur on May 13, 2011. * There is an almost uncanny occurrence (at least in recent years) of the full moon falling on or very close to a Friday the 13th. July 13th, 1984, February 13th, 1987, March 13th, 1998, October 13th, 2000 were all full moons. June 13th, 2003 and January 13th, 2006 were the days before a full moon, and June 13th, 2014 and January 13th, 2017 occur slightly after the full moon. Friday, September 13th, 2019 will be the next year to contain a full moon on a Friday the 13th. * The asteroid 99942 Apophis will make its close encounter on Friday, April 13, 2029. * The Harry Potter Movie: Harry Potter and the Order of the Phoenix will be released on Friday, July 13, 2007.